I don’t like to make a fuss about it, though. I’d rather have a quiet night at home, dinner cooked for me, than throw a birthday bash. I find more love in that than heading to a resto. I am hoping to break the grasp of restos on my life. I have a few that I enjoy and those are ones that I haven’t quite figured out how to duplicate at home. With a Vitamix and dehydrator, I should be all equipped. I just need some smokin’ recipes. Last year, my Mom made a killer raw raspberry cheesecake for my birthday. This year, there ain’t no party, but I thought it would be nice to continue the tradition of creating a decadent raw dessert for my birthday. 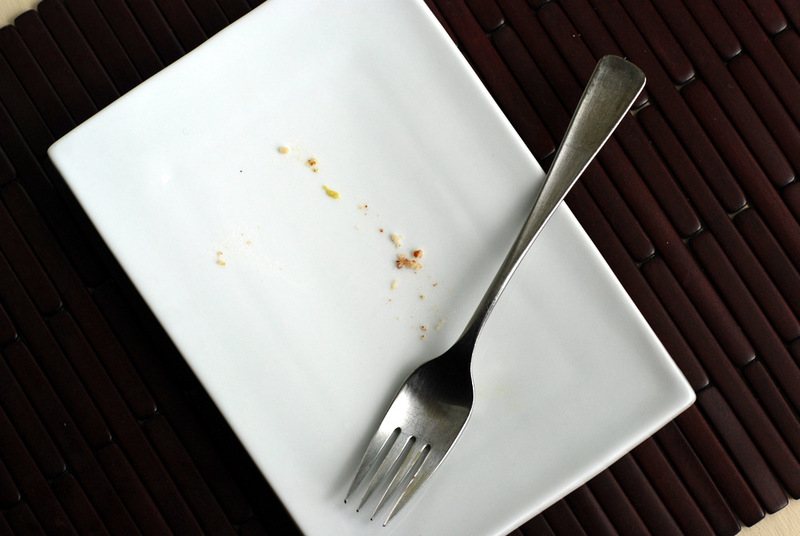 I consider myself a quasi raw dessert expert, nearly always sampling a dessert when I visit a raw restaurant. I mean, I am an expert in taste. I have not nearly mastered all raw desserts. I just know what tastes good! A recent visit to the Naked Sprout in Burlington had me sampling Rob’s dessert: Raw Key Lime Pie. It was nice, light yet filling. Apparently they don’t even use lime to make it. The flavour is from lemons. (WHAT?!) Anyways, I figured I could try my hand at it back at home. Armed with a recipe from Peacefood Cafe, a vegan resto in New York, I set myself to work. I had to scope out a few ingredients, but it was totally worth it. Cheap Brazil nuts and raw cashews from Kensington Market. 10 limes for $1 at my local grocer. 5 avocados for $2.50, too. Agave and coconut oil were already in my pantry. And yes, then to find a young Thai coconut. My new local grocer had that, too! $2 for a young coconut. When we were in Colombia, the young coconuts were opened with a machete. Yeah, we weren’t going to do that. There are many different ways to open coconuts (great video here), but we’ve had the most success with removing the majority of the skin with a knife, scoring the top with a knife and then bashing it against the front steps to crack it open. OK, I’ll be honest- this is Rob’s successful technique. Not mine. I just help with its consumption. The juice is probably the best part, although Rob likes to eat the meat, too. In this case, I used the coconut meat for the dessert. Since Rob had the task of opening the coconut, this was a very simple recipe to make. Assuming of course you have a gizmo to help with juicing 8 limes! Process the nuts and dates for the crust. Smoosh it into a springform pan. The rest of the ingredients were combined in my Vitamix to create a silky smooth filling. The green comes naturally from the avocados! I hesitated as I dumped in 3/4 cup agave, but figured it would balance the 1 cup of fresh lime juice. I hesitated again when I added the coconut oil to the filling. The filling was so good without any oil at all, but I compromised. I added in 1/2 cup coconut oil instead of the full 3/4 cup. Trust me, you don’t need the full amount. You could probably use less oil, actually, because with the avocados and coconut, this is one decadently rich dessert. Incredibly delicious and it rivals the best raw desserts I have eaten. It is that good. Serve as small pieces. Now who wants to come over tonight to help me polish off the rest of this pie? This is my submission to this week’s Weekend Herb Blogging, hosted by Elena, to this week’s potluck party and to this week’s Weekend Wellness. 1. In food processor fitted with an S-blade, pulse to grind the almonds, Brazil nuts and salt until almost finely ground. Drop in the dates and allow to combine. Lastly, add in the coconut oil to bind the crust further. Press into a 9-inch springform pan or pie glass. 2. In a high-speed blender (or a cleaned food processor), blend the cashews, coconut meat and agave until smooth.Add the lime zest and juice and blend until smooth. Add the avocados and blend until completely smooth. Add the coconut oil, and continue to blend until smooth. Pour the filling on top of the crust and use a spatula to flatten the top. Chill in the freezer for at least 2 hours until set. Dust with dried coconut and a slice of lime just prior to serving, if desired. If you freeze it longer, it will take an hour or longer to thaw to eat. If thawing, keep it in its container, else the pie will frost up (any guesses how I know that??). Happy Birthday! I hope you have a wonderful day. If I were closer I’d certainly come over to help you with this fantastic-looking pie. this looks delicious, I love that the avocado gives a natural green colour, AND a natural creaminess. happy birthday and hope you had a delicious day! Me! Me! I want to come help you finish it!! YUMMO!! hehe, no, in Perth, Western Australia. Shouldn’t take long on the bus, right? Happy birthday! I love the avocado and the lime in this pie! Sounds so good! Hope you have an excellent birthday! Booo on Rob being away on your birthday!!!! happy birthday!! 🙂 what a delicious way to celebrate! i’ve never made raw desserts before, but yours looks awesome. 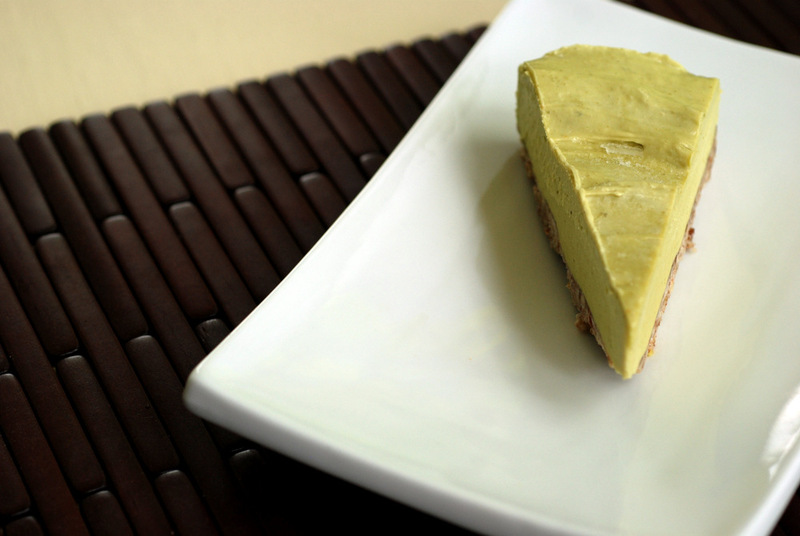 i love lime, but have never had key lime pie (traditional or raw). this recipe is bookmarked for sure! Happy birthday!!!! This cake is delicius and gourmand. Happy birthday lovely! I’m with you on the restaurant thing…I’d much rather stay in than go out. Unless I know the food will be worth it…which it really isn’t more and more frequently. 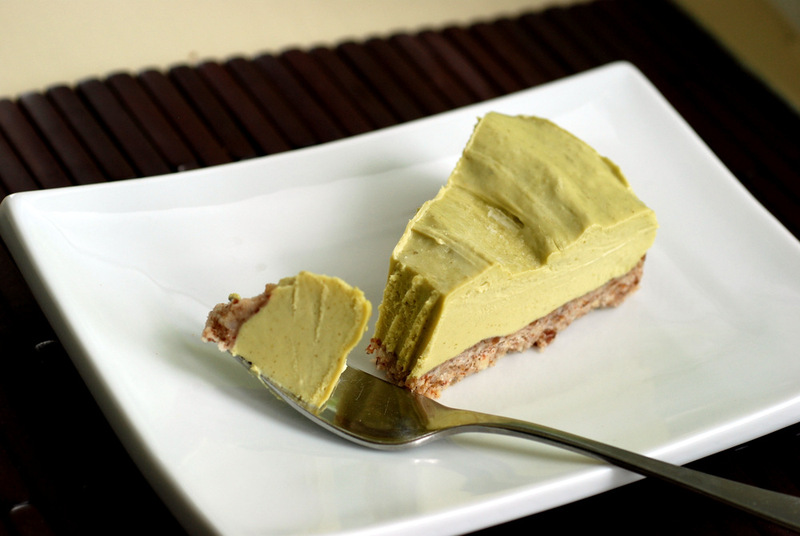 You definitely have mastered raw desserts in my opinion! This looks excellent! What a great way to treat yourself, this looks amazing! Happy belated birthday! There is a new hero from Florida (originally from Connecticut): Alan B. Hall! He gave his life saving a young girl! To think of him, bake some Key Lime Pie. To eat it, think of “Uncle” Alan Hall. Happy belated birthday! This sounds like the perfect cake for you. It looks so creamy too! 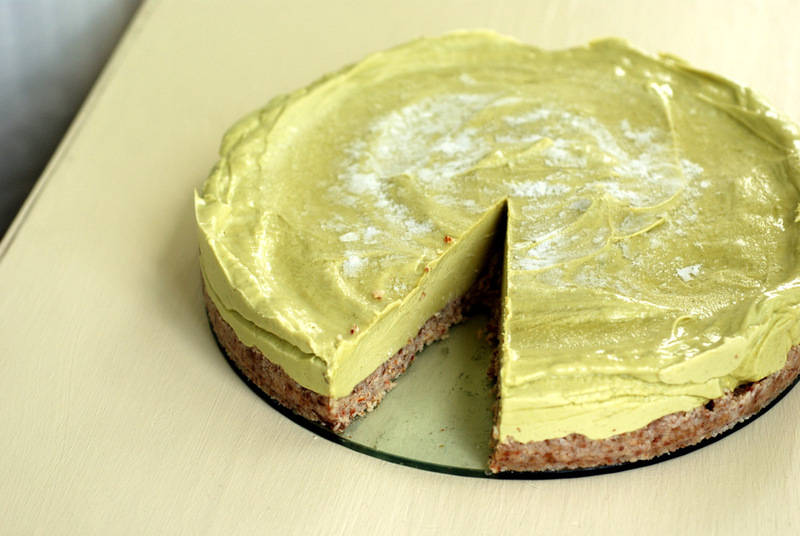 I’ve actually been wanting to make a similar dessert after seeing a raw avocado-lime tart in a cookbook I just picked up…so it’s good to read your tips! Let me know how it turns out! The one at the resto wasn’t nearly as decadent and creamy. Some are more mousse-like but I am not sure what creates that consistency. I was actaully shocked when they told me there was no lime in their pie at all. WTH? It certainly tasted like lime and not lemon! Found your recipe through Weekend Wellness. Lovely pictures. Now I’ve got to get my hands on some young coconut–kind of hard to find in my new location.